TYPES TSR-EJ AND TSR-EM THRUST SPHERICAL ROLLER BEARINGS is available as double-row, combination radial and thrust bearings. They use a spherical or crowned roller as the rolling element. The race in the outer ring is spherical in shape, which allows for some misalignment of the shaft and the housing. Bearing Thrust Spherical Roller Bearing 294/1000EM is unequalled in their capacity for high loads and their tolerance to shock loads, but have limited speed capabilities. They perform consistently, even under extreme conditions, such as application-specific stress and marginal lubrication. The cage of a spherical roller bearing provides high dimensional accuracy and functionality. According to some estimates, TYPES TSR-EJ AND TSR-EM THRUST SPHERICAL ROLLER BEARINGS has twice the running life of conventional bearings. The raceway of housing washer of this bearing type is spherical with the center of the radius located on the bearing axis. The design provides self- alignment capability to the bearing. The Contact angle is approximately 45° enabling the bearing to support axial load and a small to moderate amount of radial load. 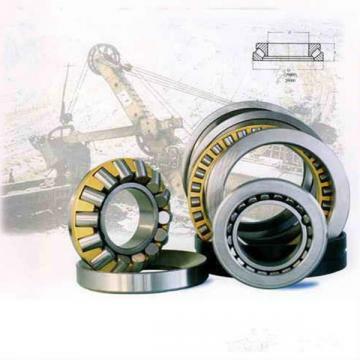 Bearing Thrust Spherical Roller Bearing 294/1000EM can sustain high loads at low-to-moderate speeds.